Skills labs provide students with the opportunity for hands-on practice with anatomical models before applying skills in real life situations, preparing them for better practice in the workforce. In 2014, MCSP conducted an initial assessment in all nursing and midwifery training colleges (NMTCs) to understand skills labs usage and availability of appropriate equipment for instruction. Results showed that none of the schools had a full complement of the required anatomical models and simulators, and some did not have a designated space for a skills lab. 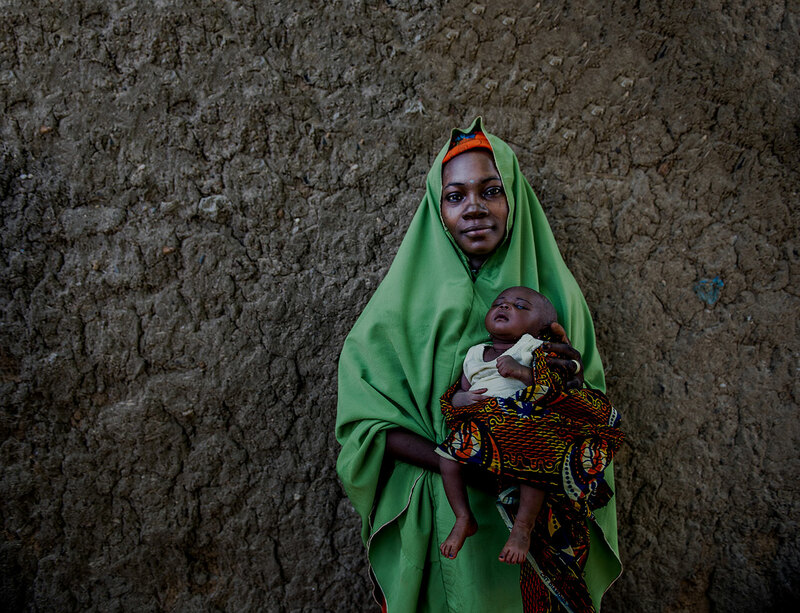 In response, MCSP developed a three-pronged implementation approach to enhance skills labs in order to improve students’ life-saving competencies in maternal, newborn and child health, malaria, and family planning. The Program purchased and distributed medical equipment and anatomical models according to the needs of each school, trained 330 tutors on management of skills labs with a focus on use of models and effective teaching methods, and integrated the use of skills labs into course syllabi and student practical sessions. 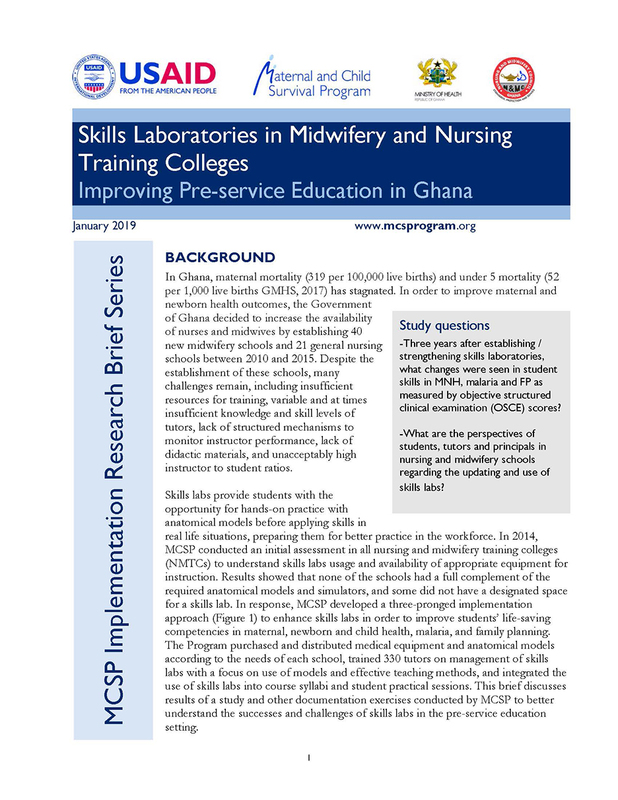 This brief discusses results of a study and other documentation exercises conducted by MCSP to better understand the successes and challenges of skills labs in the pre-service education setting.